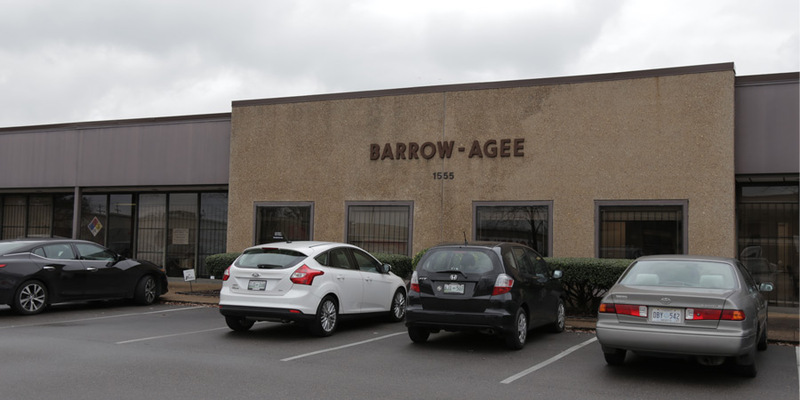 Barrow-Agee Laboratories was incorporated in 1917 in Memphis, Tennessee by Edward Barrow and Worthen Agee — the third and fifth Presidents of the American Oil Chemists Society, respectively — as a privately held and independent testing laboratory. For more than 100 years, our accurate food and material testing analysis, personal customer service, and scalability to customer needs have enabled us to provide best-in-class testing solutions to our clients. We are proud to have worked with and supported countless companies across the nation in their goal of manufacturing, processing, shipping, and assessing a wide array of business and consumer goods. In 2018, Barrow-Agee Laboratories strategically invested in a new and expanded leadership team, new instrumentation, and technology, as well as increased the analytical tests available. First was the reorganization of our leadership team and the addition of Roger Beers as our new CEO and the addition of other key team members. A new Perkin Elmer NexION 2000 ICP-Mass Spectrometer was added to our Inorganic Chemistry Lab for metal contaminant testing. The machine enables users to quantify the amount of metal in an individual cell. We can now test for metal contaminants at a lower minimum detectable level, which accommodates California’s Proposition 65 regulations. A new, larger, custom heated water bath was added to the Fats & Oils Lab to increase capacity for analyzing total fatty acids, neutral oil loss, and unsaponified matter. Sample heating stations were added to the Proximates Lab to increase Crude Fiber testing capacity by 30 percent and better serve the needs of customers with improved turnaround time. A HunterLab Spectrocolorimeter was also purchased to provide Hunter Color Testing on solid and liquid samples. Hunter Color Testing measures color quality control and standardization on a variety of manufactured products and is a complement to the variety of manufacturing quality tests that Barrow-Agee Labs offers (including metals analysis, which the newly purchased NexION 2000 ICP-Mass Spectrometer performs). Barrow-Agee Labs is also now offering services to the biofuels industries in the form of DDG (dried distiller grains) and DDGS (dried distiller grains with solubles) testing. We are always seeking the best and brightest from the scientific community to join our team and make a difference for consumers and businesses nationwide. If you have the experience, we have the opportunity — take a look at our open positions and apply. For current college upperclassmen as well as graduate students, we also offer occasional internship opportunities. Please contact us to discuss your internship goals. If your company is looking to extend the testing services of an in-house lab, or if you’re looking for a complete outsourced solution, we are ready to assist you. We are proud to have become the testing partner of choice for companies whose products impact countless consumers and businesses across the globe, and we would love to become the same for you. Contact us to learn more about what we do, how we do it, and how we can help you.